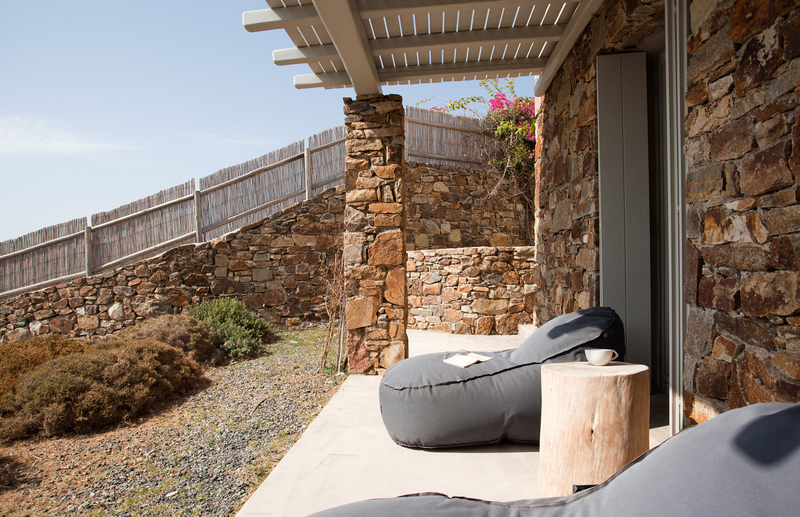 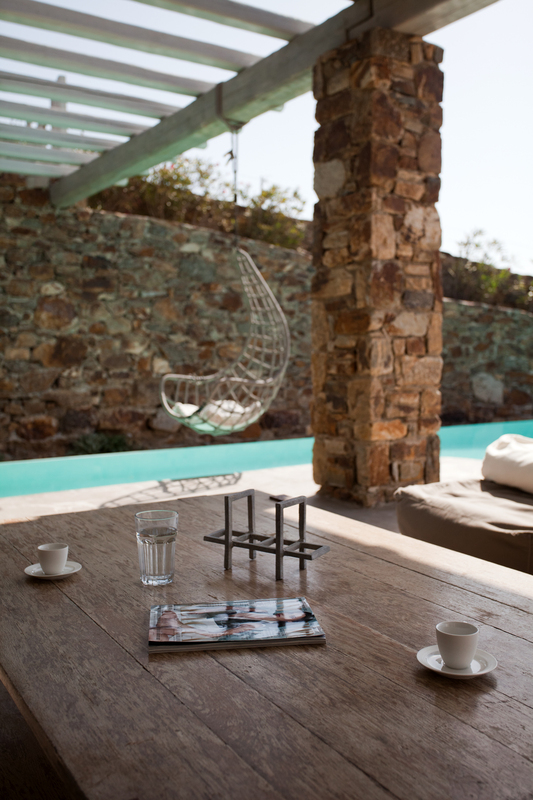 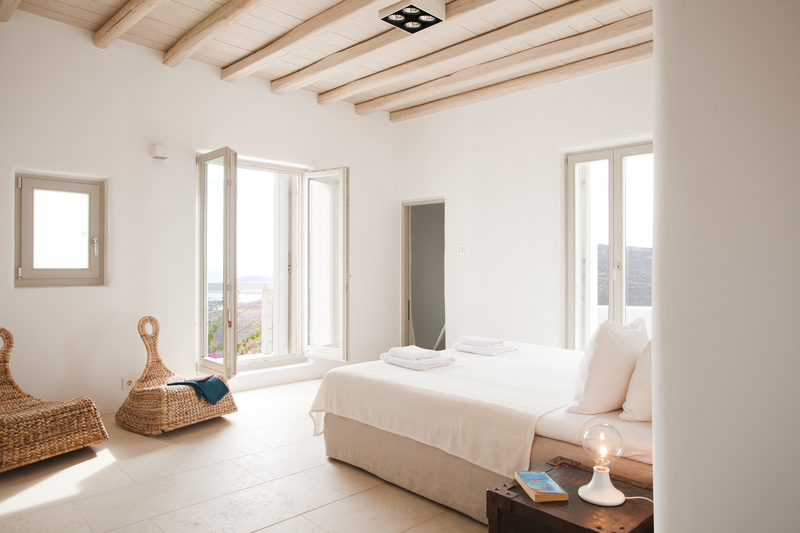 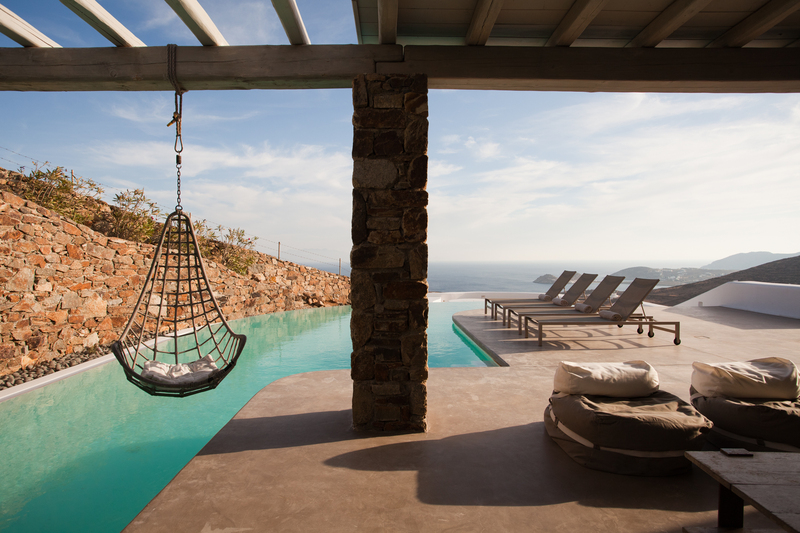 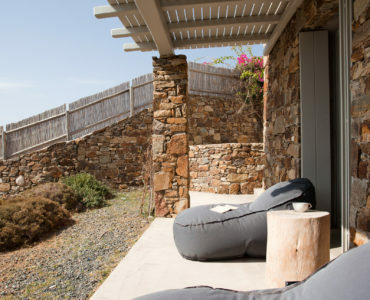 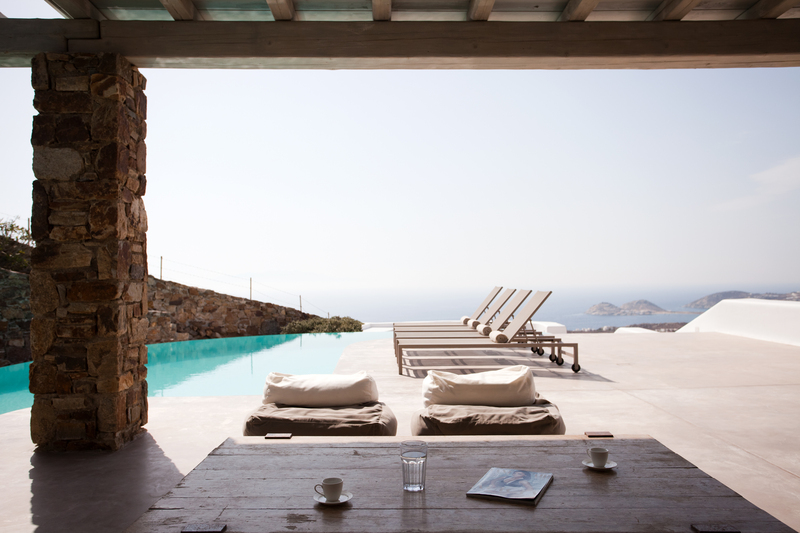 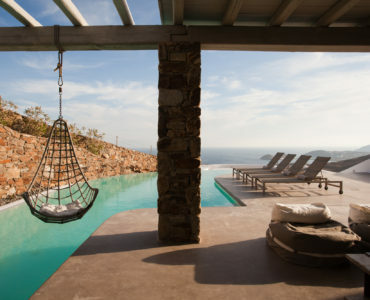 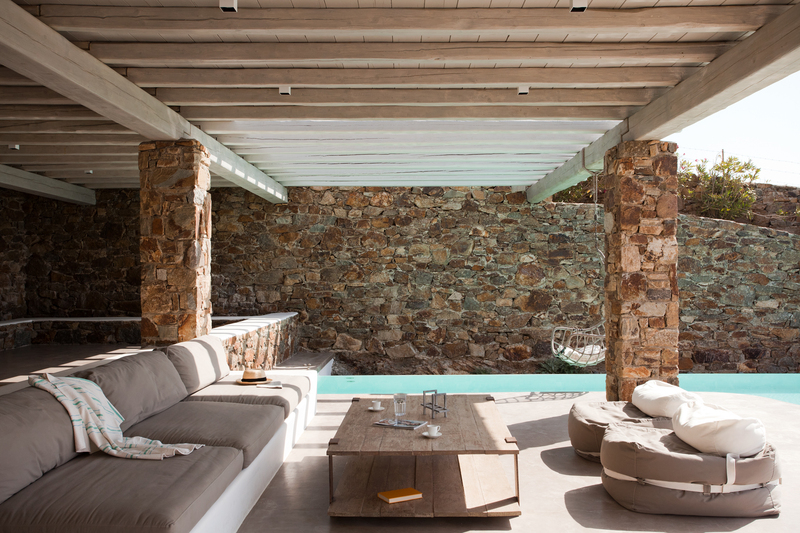 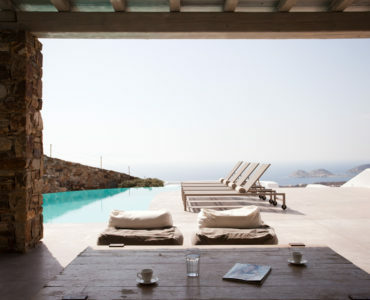 Sitting proudly on the top of a hillside on the southeast side of the island, Villa Artemis majestically crowns the Aegean Sea where lines of Paros and Naxos islands mark the horizon. 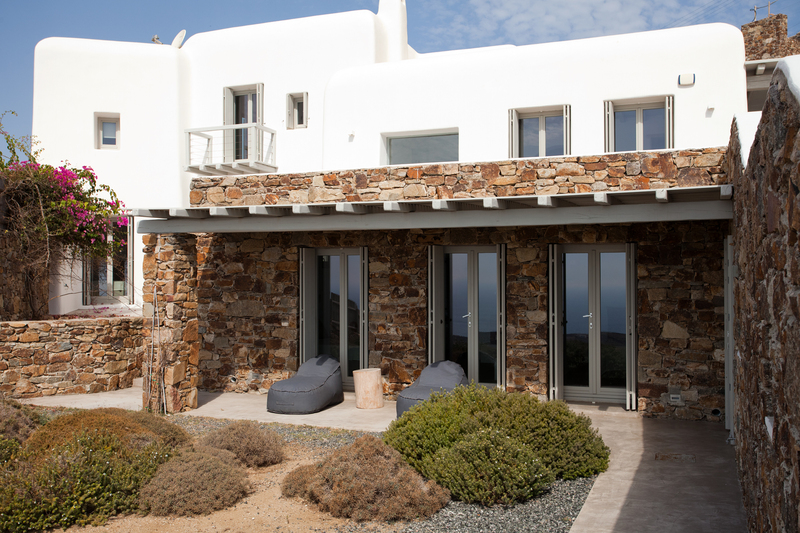 This beautiful villa is the sister of Apollo villa that can both be rented separately or together thereby offering a combination of 10 bedrooms. 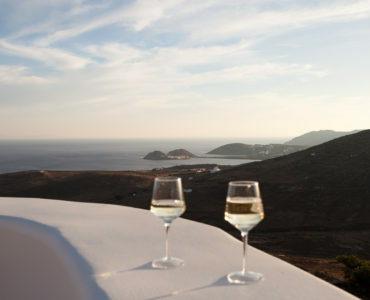 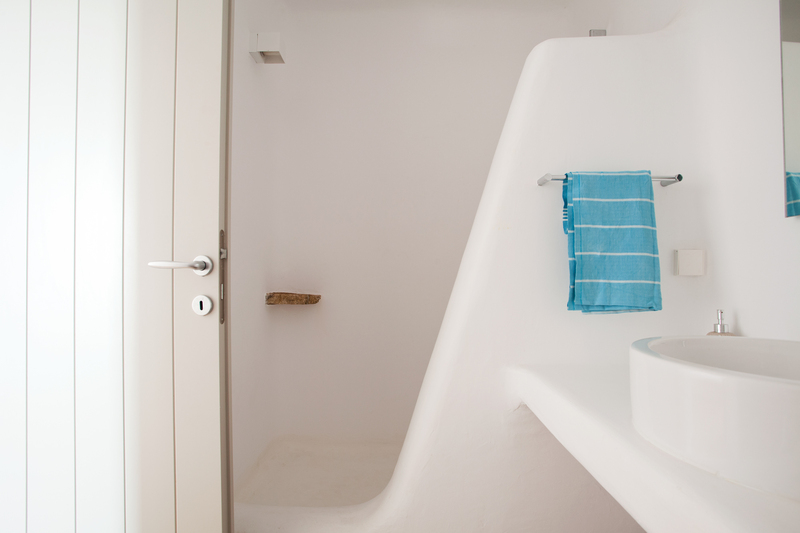 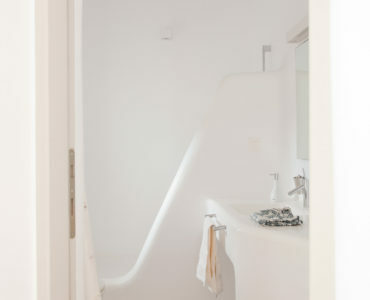 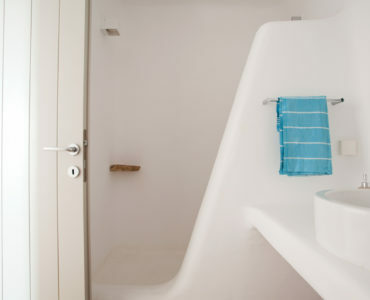 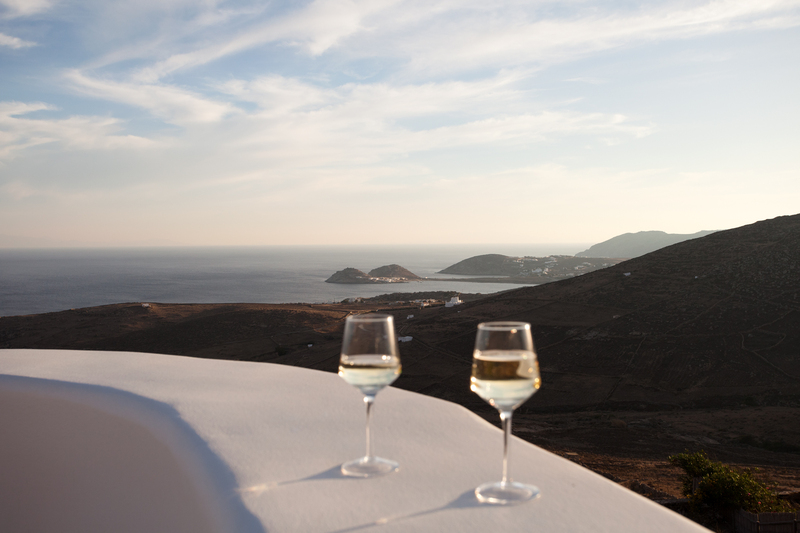 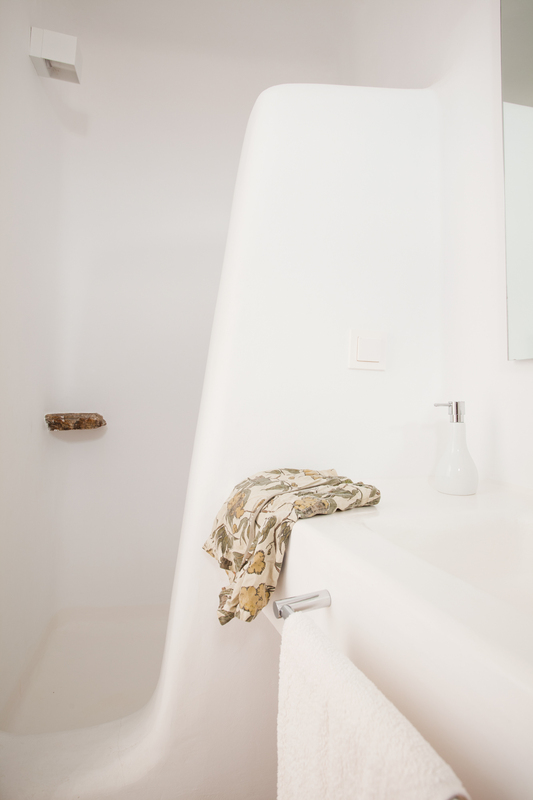 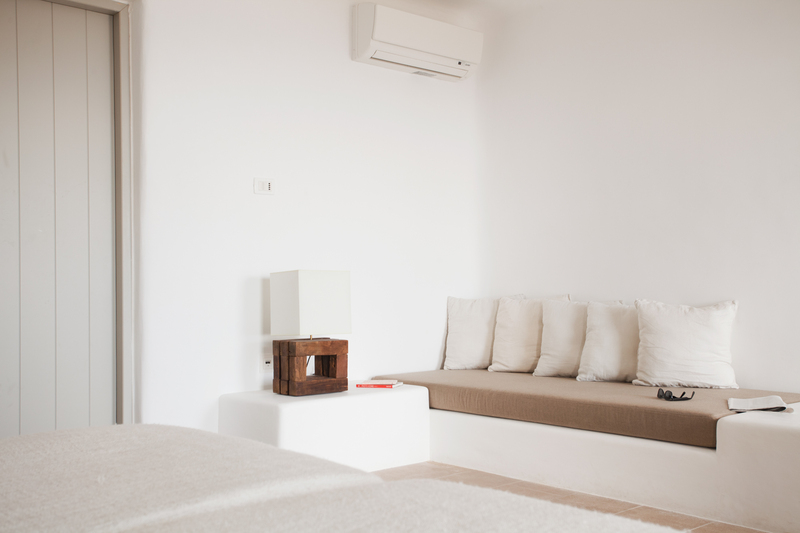 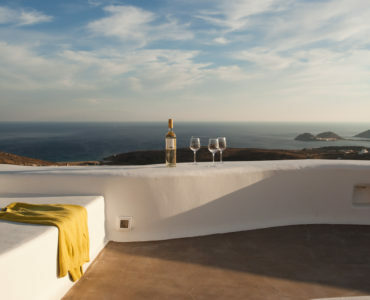 The love of Cycladic architecture, tradition and the eclectic style, which create a unique and exquisite environment, enriches the property’s elegance. 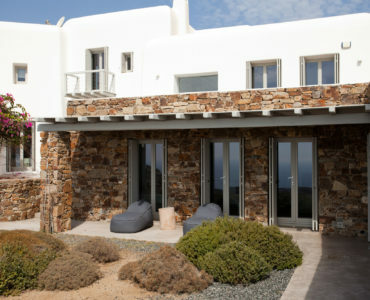 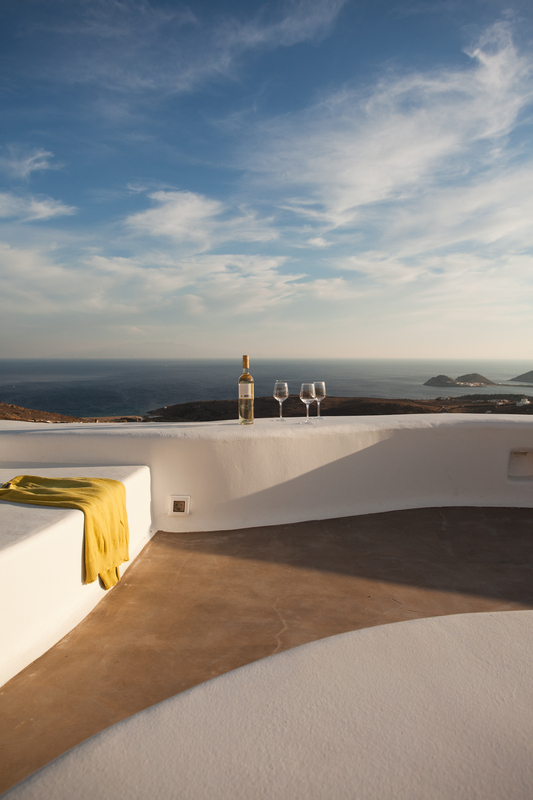 Artemis’ southern orientation shelters the building’s outdoor areas from the strong Cycladic prevailing winds, most evident during the summer. 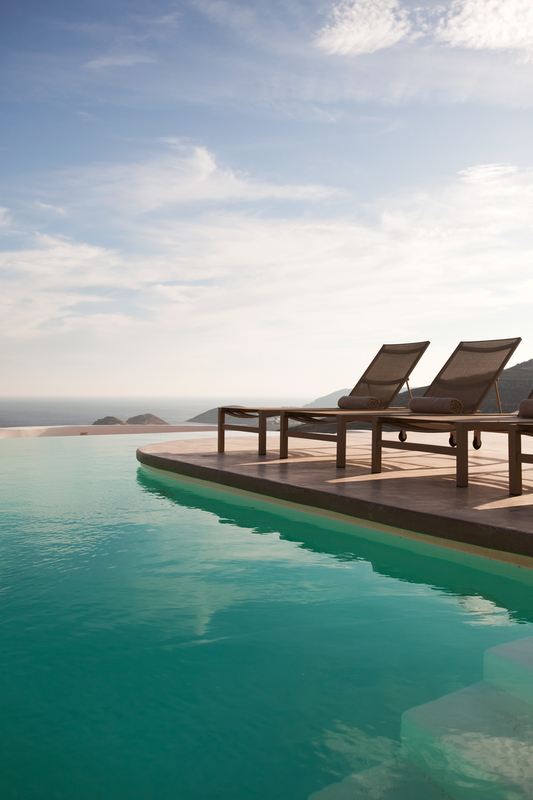 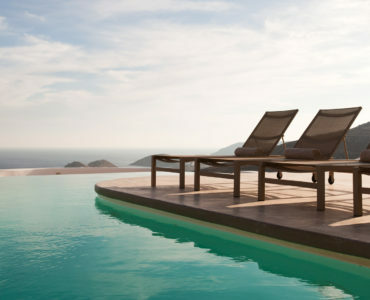 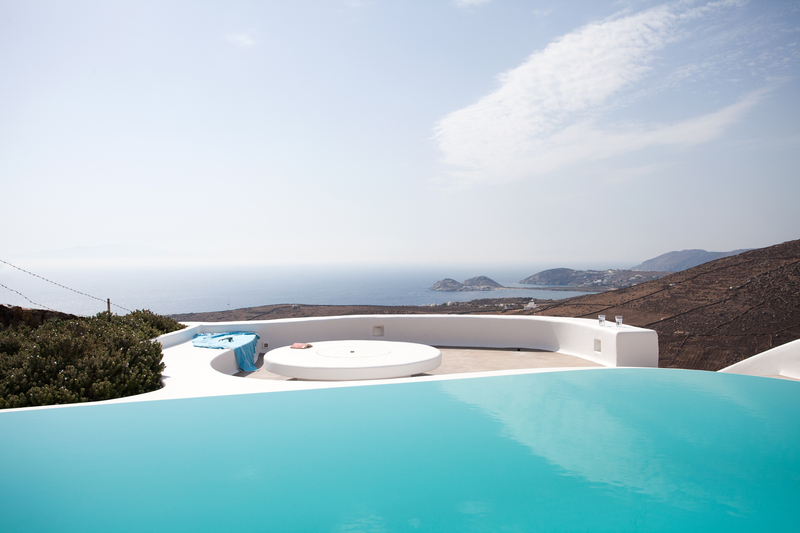 For this brand new luxury villa, the architect has given great emphasis on creating an exceptional curved infinity pool and an adjacent sitting area in perfect tune to the natural environment deliberately designed to look like a natural extension of the adjoining Mykonian Bays. 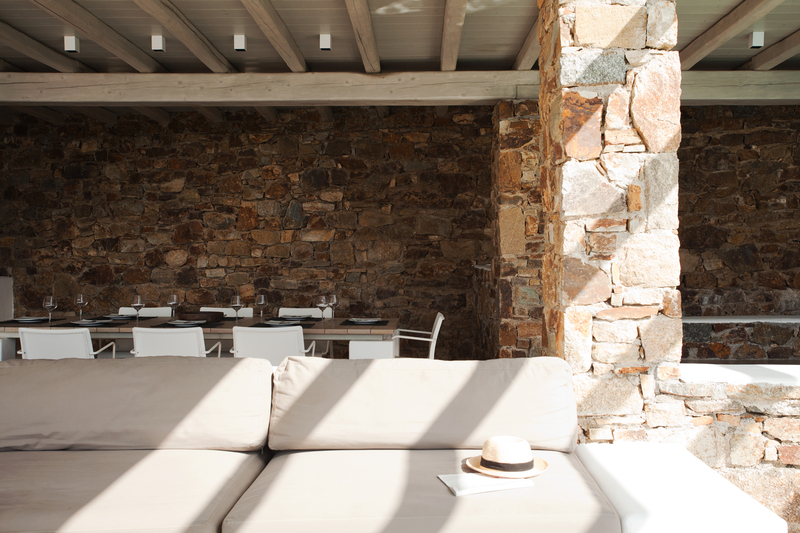 The shaded terrace boasts a lounge area equipped with several loungers and sun beds ideal for hosting fun social happenings at all hours, and a dining area with a long table ideal for all types of entertaining. 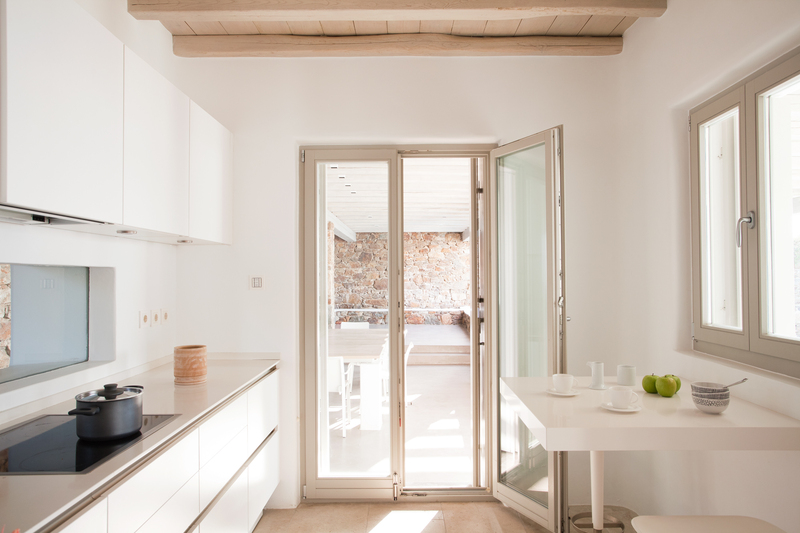 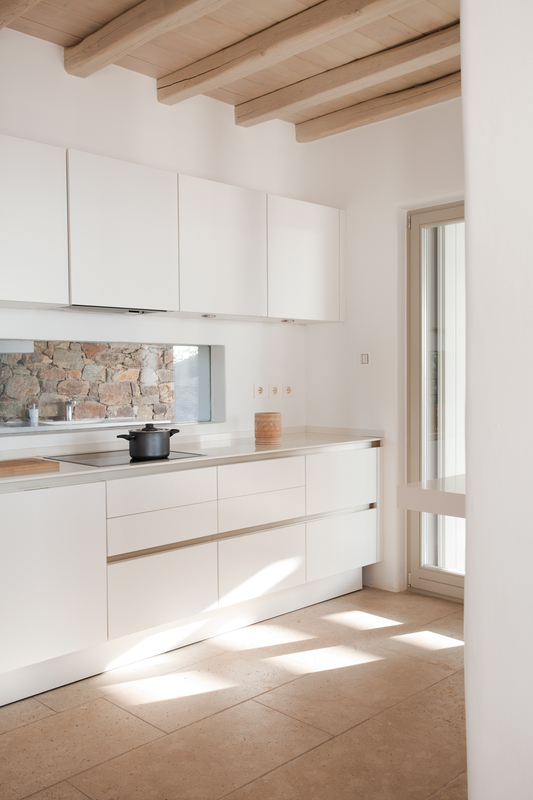 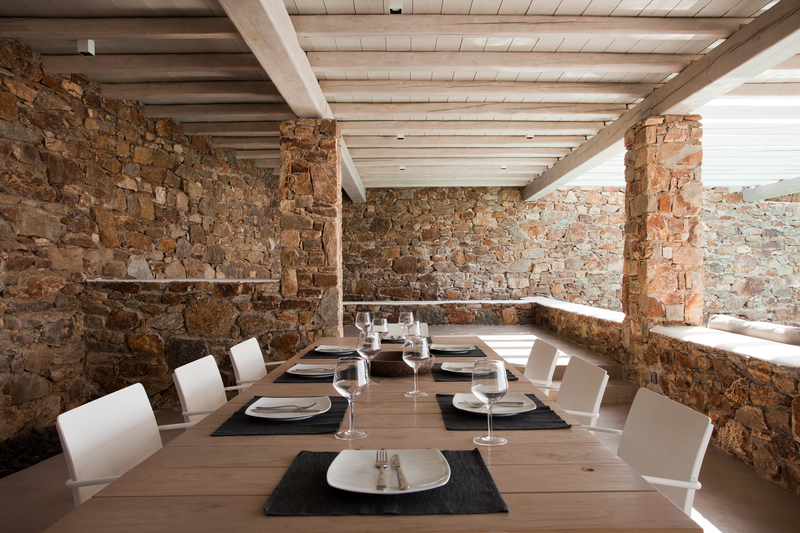 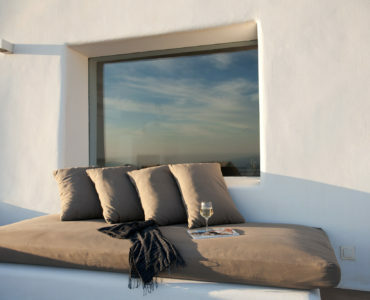 The Mykonian aesthetics dictate the basic vocabulary of the house’s interior. 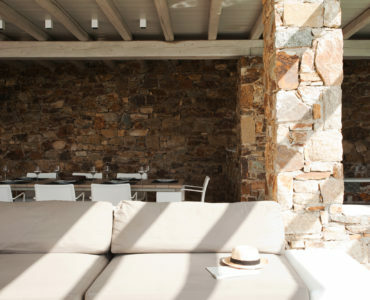 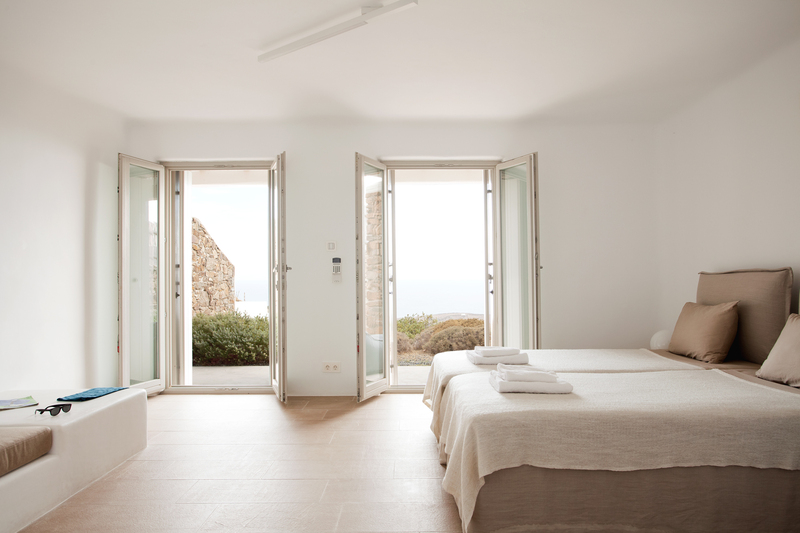 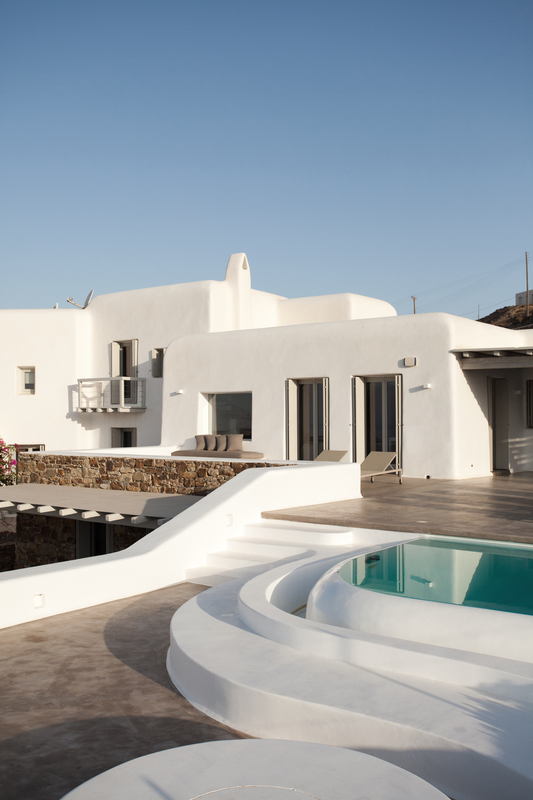 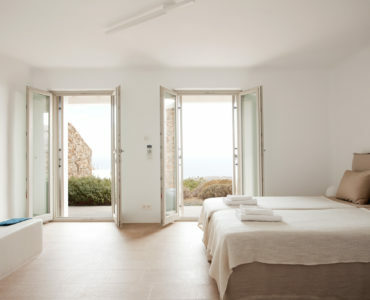 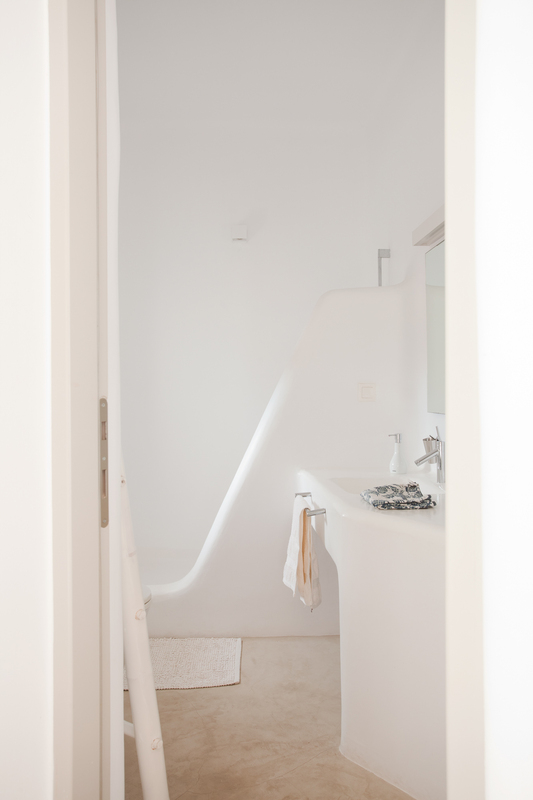 The sculptural building volumes of whitewashed plaster, the earthly limestone floors and the selective use of regional stone, fuse traditional Cycladic archetypes with contemporary architectural minimal shapes. 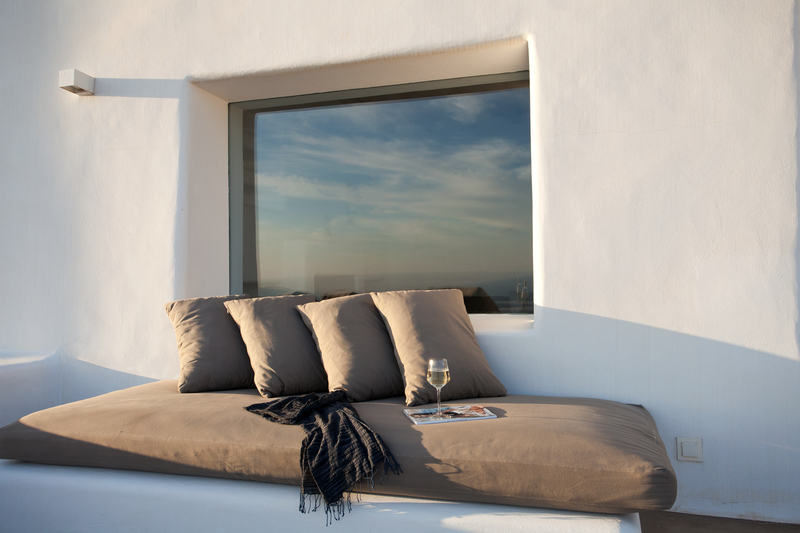 The palette is natural, in soothing tones of beige, brown and grey. 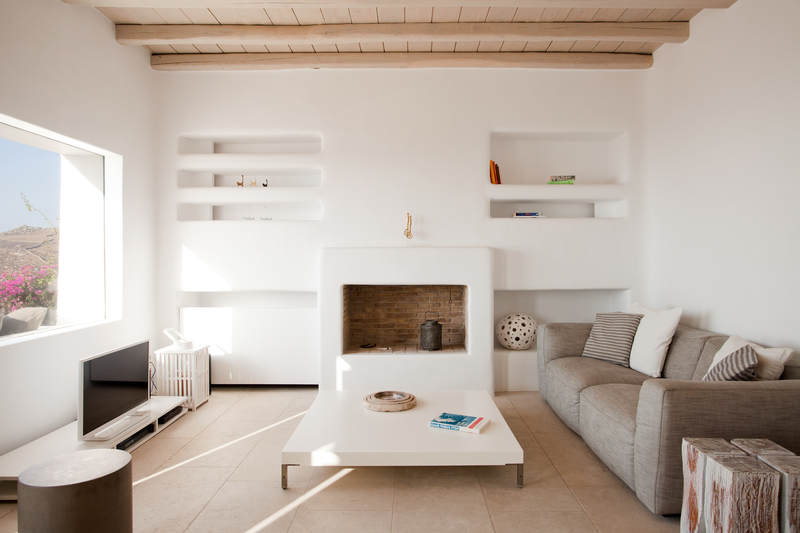 Simple yet elegant, the living room features high wooden ceilings and designer furnishings that are accentuated by the lack of ornamentation. 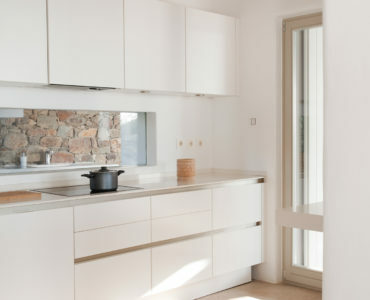 The stylish dining area is served by a well-appointed kitchen. 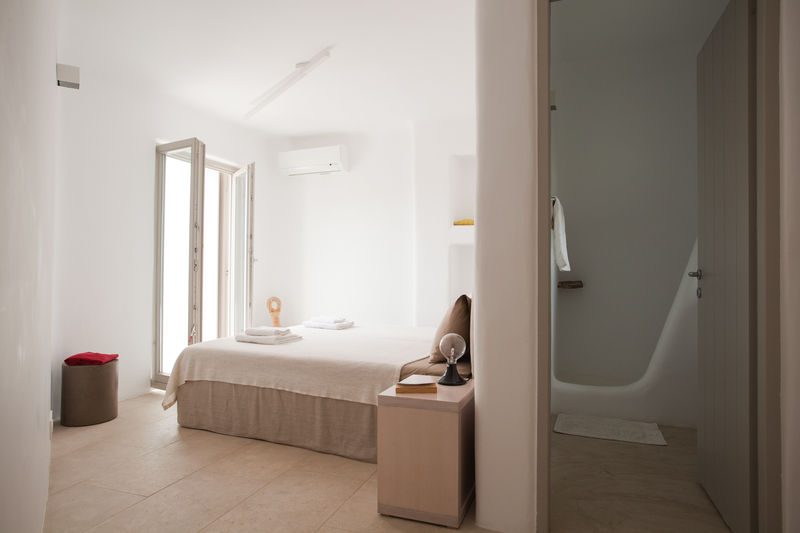 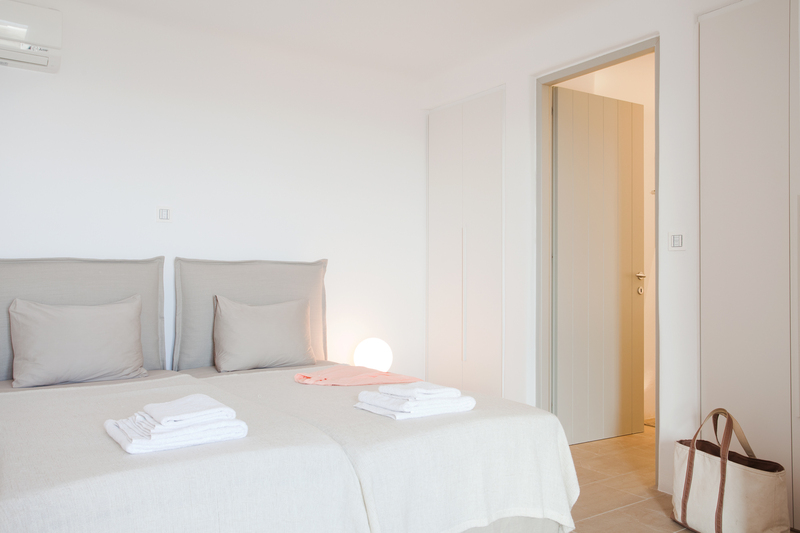 The bedrooms are bright and airy, with natural light piercing in through tall windows that blur the distinction between inside and out. 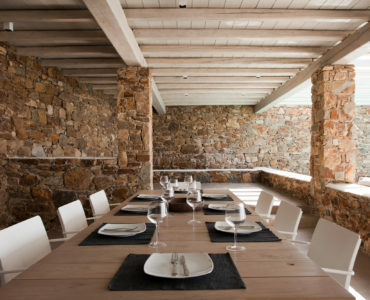 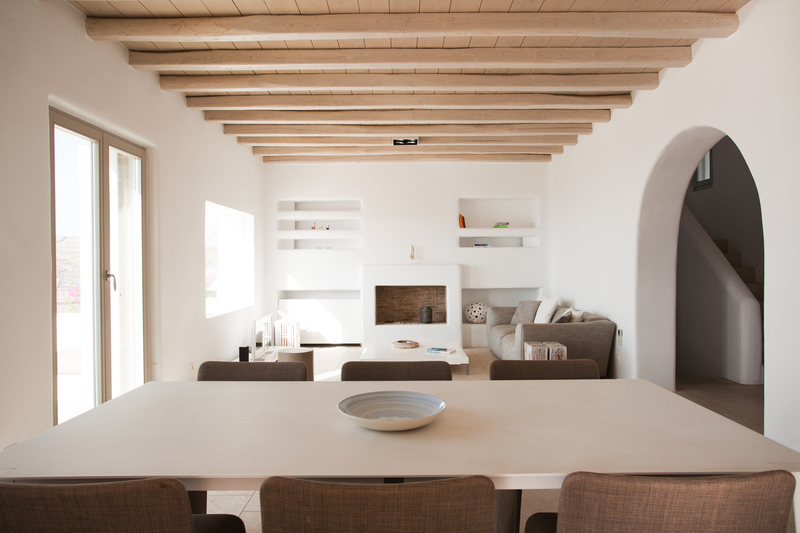 The minimal contemporary decoration is complemented by an earthly limestone floor and high wooden ceilings that grant a warm sophisticated touch. 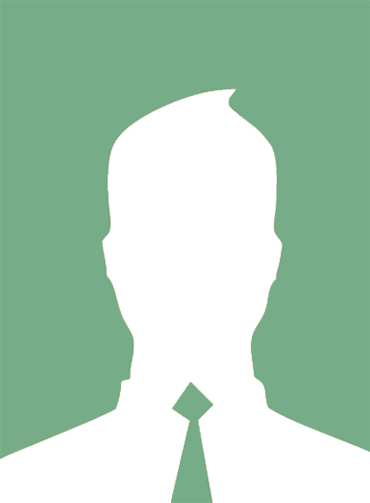 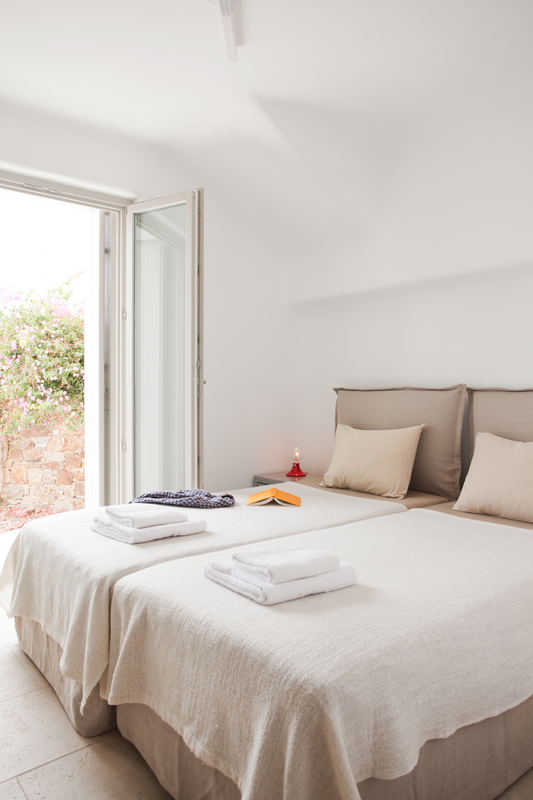 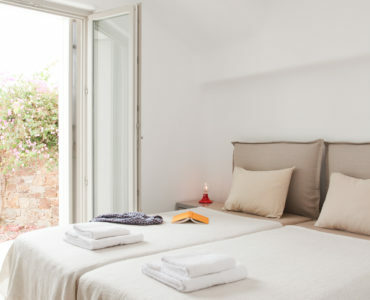 There is also a separate guesthouse with two bedrooms that is ideal to accommodate your guests.